30 days, 30 challenges. Your teen's got this! 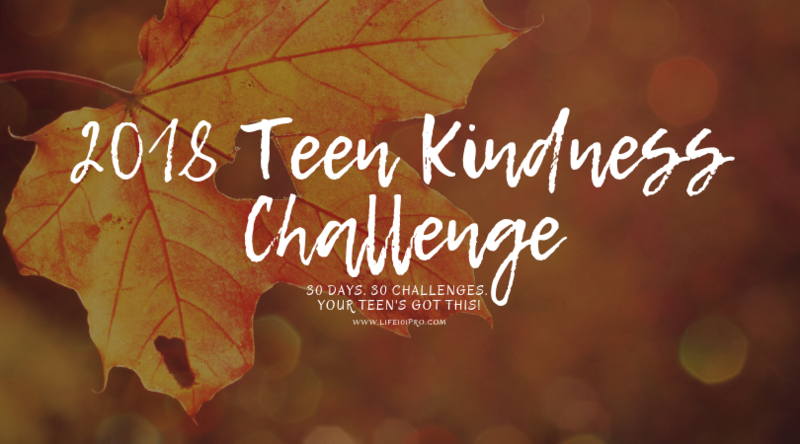 Are you ready to help your teen see the difference they can make in the world by just being themselves and actively trying to spread kindness? 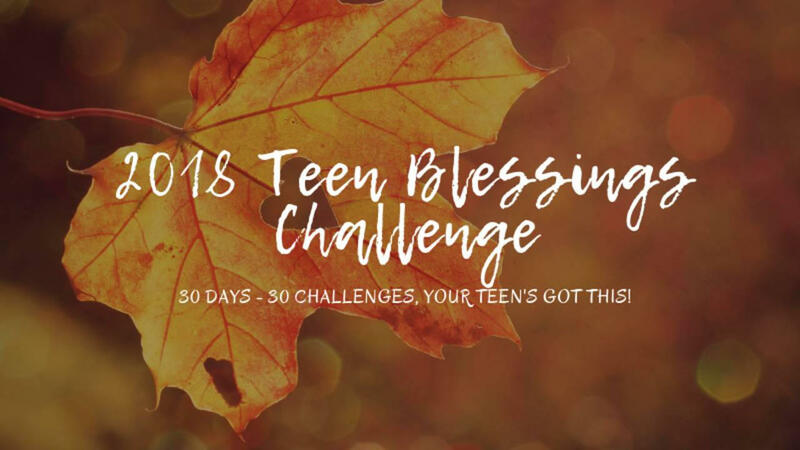 Then you will LOVE this 2018 Teen Blessing Challenge. Match the day of the month to the number on the challenge. Encourage your teen to read the challenge in the morning to help this be a priority in their day. Many of the challenges take less than 30 minutes a day, but can make a HUGE impact in your community and in your teen. Yes, we want this challenge!